Vintage Fender pickups are highly sought after. Just finding these pickups is a challenge all its own. Even if one is purchased online at a hefty cost, how can you be sure of its vintage value? Up until 1967, Fender did have several processes that can be measured to determine the date of their pickups. Even if you've never really used a multimeter, don't be intimidated by it for this project. All we are going to deal with is measuring the ohms of a pickup, written as such on your meter or by the ? symbol. Turn on the multimeter and set it to the 20k ohms setting. Make sure that the black probe is plugged into the common ground socket on the meter (typically identified as COM on the meter) and the red probe is plugged in the volts/ohms socket (this should be easily identifiable as well on any multimeter). For a quick \"how-to\" on getting started with a multimeter, check out this video link: http://www.youtube.com/watch?v=KzjMIcER4EU. At the beginning of 1965, Fender was sold to CBS. Pickups that are found to be built prior to 1965 are considered extremely valuable. Pickups built after 1965 are still highly desirable and offer unique attributes in each year they were built as the pickup design and manufacturing process was enhanced and perfected. The dating guidelines in this how-to editorial stop after 1967. This is due to the fact that little has changed since then. Identifying pickups after1967 is less simplistic and requires a level of research that goes beyond the scope of this how-to. If you find your pickup to be near the rating of those listed for 1967, be aware that it could very easily have been built 10 years after the fact, or even later. Clean the pickup before measuring it. Use naptha (lighter fluid) or some other fast drying detergent. Ensure that whatever is used to clean the pickup doesn't leave a residue. Examine the leads to the pickup (on the back of the pickup) to make sure they are soldered well into place. Connect the multimeter probes to the end of the leads on the pickup. Don't worry about which wire should connect to the ground probe. Write down the reading from the multimeter. If several attempts are not producing a reading, there is a good chance the winding inside the pickup is broken and will need to be repaired by a qualified technician before you can continue. Take the plastic cover off (if it hasn't fallen off already). If the cover gives some resistance, it is likely connected with some wax and a little nudging should encourage it to come off. The flat work (the plastic-ish plate on the bottom of the pickup) is either black or gray. Gray flat work is an indication that the pickup was built sometime between March 1964 and the latter half of 1971. Black flat work indicates that the pickup was built either before March 1964 or after 1971. To determine which range your pickup might fall under, scope the pickup to see if it is warped. After 1965, Fender began creating thinner flat work that resulted in warping from temperature change and other variables. If your pickup is flat and has a thick piece of flat work, it is probably a \"Pre CBS\" pickup. Note that if you're looking at a Fender Telecaster pickup that doesn't have any flat work at all, you've likely stumbled on to a very unique and valuable \"Pre CBS\" pickup. With the cover still off, inspect the winding of the wire around the pickup. If the wiring is consistent and has little variation, it was likely machine wound. Fender began using the the machine wound process after 1965. If the wiring is somewhat random and shows different patterns and crisscrossing, it was built before 1965. Take the reading from the multimeter that you wrote down earlier and compare it to these specifications (Vintage Guitars Info, 2005). This chart, compared with the other variables listed above, should help to narrow down the birth date of your pickup. Additional factors such as the way the magnet was constructed and its polarity, as well as the composition of the insulation for the lead wires can help to narrow the time of construction down further. This requires some dismantling of the pickup, which goes beyond the scope of this how-to. Seek the help of a qualified technician if you're still unsure. 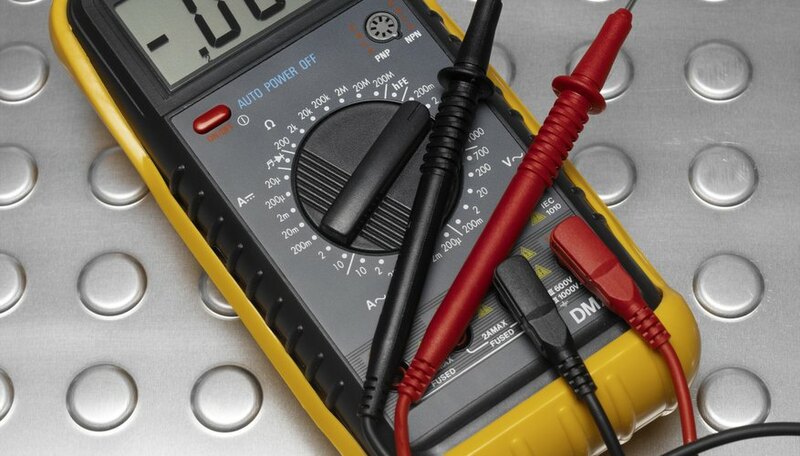 If possible, get probes that have clips for your multimeter. It helps to simply clip the probes to the lead wires when checking for ohms versus carefully holding the lead wires and probes together while trying to get an exact reading from the meter. Be very careful when working around the lead wire areas and winding of the pickup. The wire gauge is as thin as hair and can break very easily. Taking you time to remove the cover and keeping finger nails from the \"business\" areas discussed can ensure a successful examination.